Emerging technologies are reshaping the world we live in, and the residential building sector is no exception to this trend. Growing populations, environmental forces and changing social and political landscapes are driving the demand for better, more affordable, more sustainable homes that can be constructed faster than traditional methods. The importance of rapid construction of quality residential buildings was no more evident recently than in India, where Elemente Homes sought out the FRAMECAD System to deliver Light Gauge Steel (LGS) housing solutions in significantly less time than could have been achieved with traditional construction techniques in their region. “With this FRAMECAD technology, we can build much faster and we can also provide superior value in just about every type of building including residential housing,” according to Elemente director Anuj Sharma. When combined with an advanced construction method such as the FRAMECAD system, LGS can solve many of the challenges surrounding residential construction faster than traditional construction methods. Modern, low-rise residential housing can be not only affordable but also attractive with a huge variety of design possibilities, which can be rapidly built, are repeatable and are comfortable to live in. Lightweight, steel frame building solutions constructed with LGS and the FRAMECAD System are ideally suited to apartment block configurations of 3-6 levels. FRAMECAD is able to supply all the building materials, training and design support needed to construct mid-rise buildings quickly and accurately. 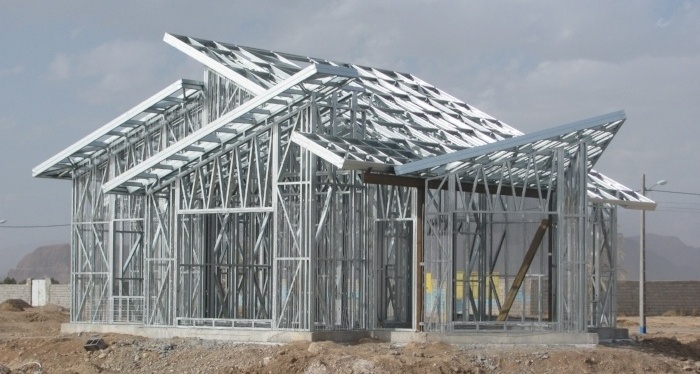 The FRAMECAD System’s modern method of steel framing construction provides quality social housing for developing areas, as it is a durable, practical construction method that can produce highly repeatable designs quickly and cost-effectively. FRAMECAD’s system also reduces the need for highly-trained labour, further bringing down costs. FRAMECAD provides the perfect design and build solution for disaster relief housing where speed of construction is vital and access to local infrastructure and precious resources (such as water) are limited. Additionally, FRAMECAD can provide all the building materials and local training needed to construct safe shelters quickly. With FRAMECAD, building solutions such as the Mobile Factory can be placed on sites with little or no remaining infrastructure and begin building within 24 hours. LGS construction allows for highly resilient structures to be built in disaster prone areas. They are designed and tested to withstand earthquakes and extremely high wind speeds to provide greater protection and safety when or if another natural disaster should occur. What are the benefits of building houses with LGS and the FRAMECAD System? LGS construction is faster than traditional methods at every step in the design, specification, manufacture and construction phases of a residential project, providing a much more predictable schedule than its competitors in the market. Take Corporacion Waraira, a Venezuelan construction company, who was working on a six story residential building project that was faced with worker and supply problems typical to the area and were behind schedule. Using the FRAMECAD System they were able to design, produce and pre-assemble the frame, then get on site and assemble the structure and flooring in just 10 days with only 8 workers, allowing them to not only meet their build deadline, but come out ahead of schedule. LGS construction is cost competitive compared to traditional methods due to its advantages in speed of construction, accuracy and reduced labour costs and, depending on the building design, can actually be much cheaper when evaluating the overall build cost. Traditional construction materials can have high material wastage – up to 20 per cent on a given project, but with LGS and the FRAMECAD System’s highly accurate design specification, wastage is virtually non existent (less than 1 per cent), which significantly cuts down on costs. 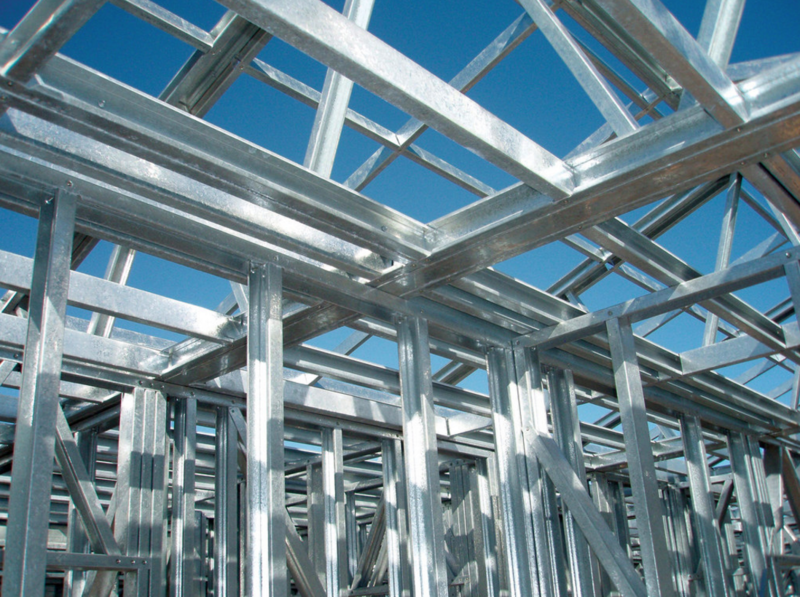 LGS framing often contains recycled steel and it is continually and completely recyclable making it the perfect choice for sustainable construction. Using recycled steel also takes the pressure off renewable resources; trees are not used for timber framing and water is not needed to mix cement – crucial factors when constructing residential projects in regions where natural resources are limited. Buildings constructed in LGS are stronger, straighter and last longer than traditional materials. LGS frames will not warp, bend, twist or break and are pest and fire resistant. When award-winning New Zealand architect Chris Tate was approached to design a high spec home high on a hilltop, one of the biggest challenges he faced was the severe constraints of the site. Situated on a ridge, the section was extremely steep with difficult engineering challenges and a steep access that made it impractical for large trucks or machinery to negotiate. LGS and the FRAMECAD system were chosen for its versatility, high strength to weight ratio and, because the material is so lightweight, two workers were able to carry a long frame and pass it up multi-story buildings easily. With the design-led FRAMECAD System, roll forming machines pre-cut, form, punch, number and label LGS frames and all outputs meaning there is no welding, cutting or riveting needed on-site and frames can be assembled with common tools. Fitzroy Frames assists Australian state government programmes to build housing for indigenous Australians. They make a point of not only providing framing for homes, but skill training and employment opportunities for local people as well – and this means using indigenous labour whenever possible. Not only does this create jobs, but also the company is not reliant on sub contractors or subjected to delays, allowing them to exercise a greater amount of control over their projects. You can read more about residential applications of LGS and FRAMECAD System here. If you are a LGS business, a building company, a government agency or if you are interested in becoming a LGS manufacturer talk to a FRAMECAD expert today about how LGS can save you time and cost.